It's 1 3/8 inches, 3.5 cm thick. 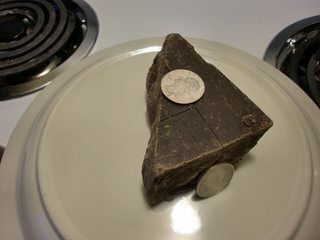 The larger piece weighs 143 grams or 5 ounces. It tastes pretty good (but I am definitely no connoisseur) and it's certainly in the semi-sweet/bittersweet range. 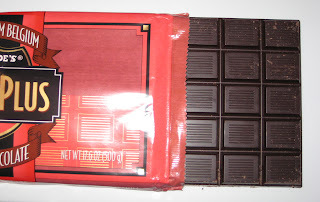 I just discovered one more possible hint, WinCo Foods sells chocolate block pieces in their bulk food section, there are WinCos in my date's home state of Idaho. They carry both what they call dark chocolate and bittersweet chocolate. This Chocolate is Van-Leer semi sweet. 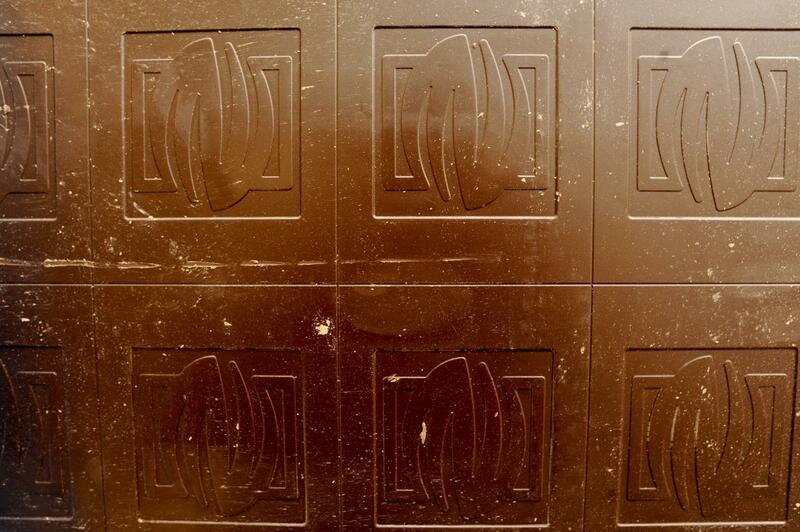 It was an old American chocolate manufacturer that was recently purchased by Callebaut. It does have a distinct slab style. This is available in the bulk section at Winco. 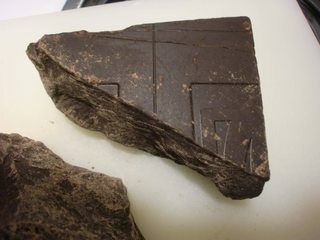 The thickness of the shards makes me think it's from a Trader Joe's PoundPlus slab. Unfortunately, I don't have one around to check if the marks match. 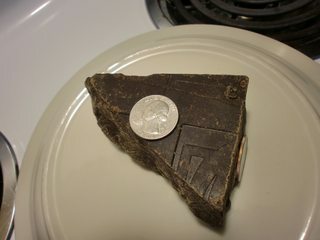 It's certainly a piece off of a 5-lb block. It does not look like any of the "big guys" that I know of...Peter's, Ambrosia, Callebaut, Sharffen Berger, Merckens, Guittard, Ghirardelli, Valrhona, or Wilbur. I'd say the best bet is to ask the person where they got it, and call the store to see what brand it is. 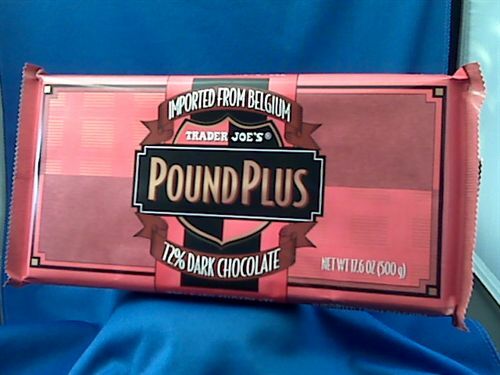 My local Kroger grocery store sells dark chocolate chunks in the "Bulk Food" section along with the oat groats and dried pineapples. Not the answer you're looking for? 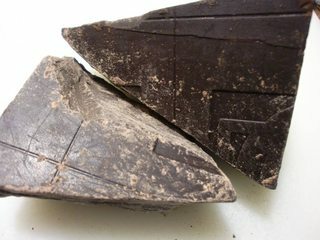 Browse other questions tagged chocolate food-identification or ask your own question.